Studies show that the average person today sits for at least 12 hours daily. This sedentary way of life is leading to a host of issues, including pain, soreness and numbness in your legs and feet. When you are dealing these sorts of conditions, purchasing a leg massager is a must. However, it pays to learn the ins and outs of buying a massager, so that you get your money's worth. Below we'll discuss the ins and outs of buying a massager, so you can purchase the right one for your needs. Read on to learn more. Are you dealing with a prior leg injury? Maybe you have routine numbness in your legs and feet. Or perhaps you just want a way to relax and unwind in your everyday life. No matter what you need, a leg massager can be a great purchase. Getting a leg massage helps you relax while improving posture and mobility. When you speak to professionals that sell these products, let them know about your condition or reason for buying it. They'll be able to match you up with the perfect model for your needs. If you're shopping online, carefully read the product description and key in on conditions when you're reading reviews. This goes a long way toward guiding your shopping process. Once you're ready to start shopping for a massager, you'll quickly see that there are many different types available. 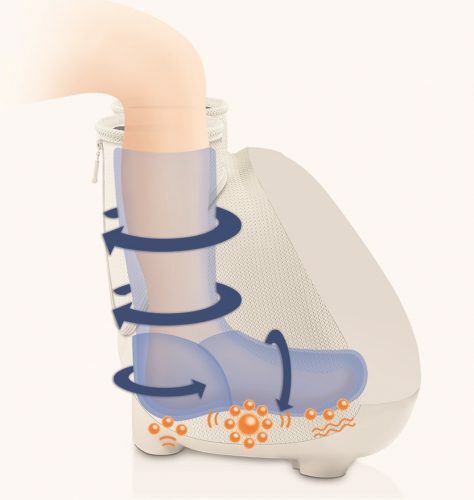 You'll first want to decide whether you want a product that is crafted to specifically target your legs or a handheld massager that can also be used to massage your legs. Speak to a few different shops to ask them what brands they offer, so you can begin looking up the pros and cons of the models. Owning these massagers will offer you a great opportunity to stay mobile and pain-free. It's important that you also figure out what sort of budget you can work with when purchasing a leg massager. As you look around at the different models, prioritize them and set up a wish list. This will give you an idea of how much money you can expect to spend on the purchase. A massage device can cost you as little as about $100, and entire massage chairs can cost you upwards of approximately $6,000, depending on the model of chair that you decide to get. Look into the different prices so that you can try to find a deal that will work best for your budget. Now that you know the perks involved with buying a massage chair, take the time to get in touch with us. We have all sorts of massage devices that we can set you up with depending on your needs. If it's a leg massager that you're looking for, we'd be happy to let you browse our inventory.